It is understood that Messrs. McHugh Bros. and Jackson, of Launceston, the well-known makers of pottery and drain pipes, have purchased a block of land at Spreyton, formerly the site of the hop-kiln, and intend starting a branch of their business there, as there appears to be a suitable supply of raw material, and the firm are doubtless struck with the advantages of Devonport as a distributing centre. A brief reference was recently made to the effort by Messrs McHugh Bros, and Jackson, of Launceston, to establish a branch of their pottery works at Spreyton. There is now on view at Mr I. Chapmans, Rooke Street, a brick, tile, and jug made at their Launceston establishment from material supplied from Spreyton. An Advocate representative inspected them yesterday morning in company with an expert, who after examining the samples declared that if that standard could be maintained they would be all right. Mr. McHugh's brickworks are going ahead splendidly; seven men and two boys are now employed, who turn out from 6,000 to 8,000 bricks daily. The product seems of a good quality. The total number turned out so far is 60,000, and Mr. McHugh has already got an order for 100,000. A kiln is to be made up this week or next. The establishment of the brickworks of Messrs M'Hugh Bros and Jackson has caused quite a revival in the fortunes of out township, and in no direction is this more marked than in the attendance at the State school (Maidstone), where the num­ber on the roll is over 40, and the scholars are very regular in their attendance. The schoolroom, a rented one, is only 20 x, 14ft, and is decidedly too small, and resi­dents are inquiring when the department will provide adequate accommodation. It is stated that if a brick school were built then Messrs M'Hugh would donate a quantity of bricks. 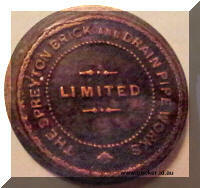 McHugh Bros. & Jackson did not operate the brickworks for very long because by 1902 they had been taken over by South Australian born Edwin Henry Tucker who started as a storekeeper in Railton but moved to Spreyton. John McHugh continued as the manager, now employed by E. H. Tucker and Co. The Spreyton steam brick works have developed into a very promising industry, from 13 to 16 hands being employed in the yard, whilst three men are kept constantly woodcutting, and an appreciable amount of cartage is occasioned. What it means to our little hamlet may be gathered from the fact that with this week's wages no less a sum has been disbursed to the workmen since August 27 than £600, and this does not include carriage. Since the date named about 600,000 bricks have passed through the machine, which has a capacity of 1,000 per hour, and the pressed article has been fairly widely distributed, among the principal buildings supplied being those for Mr A. P. Anderson, Burnie ; the Bank, Penguin; Furner's hotel and the new Coffee Palace, Ulverstone ; and a goodly portion of the bricks being used for the Grand Hotel, Devonport. Light and dark colored bricks are turned out, and prompt delivery in any quantity can be guaranteed. Best quality steam pressed bricks always on hand, light or dark colour. Prompt delivery in any quantities. E. H. Tucker proprietor. John sold his Isandula Road house in 1905. Certificate of Title 11/2636 of 30 Nov 1905 records the sale of this land by John McHugh of Ulverstone, brickmaker, to William Barry of the Gawler near Ulverstone, farmer, for the sum of one hundred pounds which was to be paid to the mortgagor, Arthur Dawson to whom he still owed 200 pounds. William Barry was a farmer who had earlier purchased some or all of the adjacent land from Lynch. The land upon which the Spreyton brickworks were sited was at this time still owned by the original grantee, Stephen Charles Kelcey. He was granted 640 acres of land in 1855, being a large part of what was originally named Maidstone and became Spreyton. He built a flour mill and a sawmill worked by a water race. He built four houses for his workmen on the slopes of the Tiers and gave land for a race-course, a school and a reservoir. 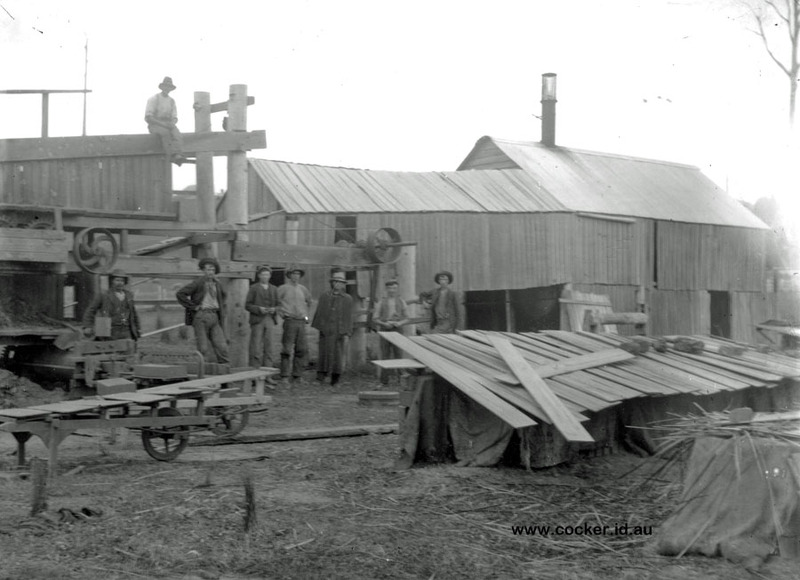 CT 11/4104 on 11 Aug 1906 records the sale of a two acre and a five acre portion of that land to, South Australian born local storekeeper, Edwin Henry Tucker. And Secondly: All that piece or parcel of land containing five acres and perches more or less situate and being in the Parish of Northam aforesaid and bounded on the South east by two chains fifty two links an nine tenths of a link (50.9m) South Westerly along land belonging to the said Emily Kelcey commencing at the northern angle thereof of the aforesaid Main Road. On the South West by eighteen chains thirty links and three tenths of a link (368.2m) easterly along a roadway to the aforesaid Main Road and hence on the Northeast by eighteen chains ninety two links and three tenths of a link (380.7m) South Easterly along that road to the point of commencement….. However in 1908 Tucker decided to move to New South Wales and advertised all of his properties for sale. VALUABLE PROPERTY AT SPREYTON, Only two miles from Devonport. No. 1. SPREYTON STEAM BRICK WORKS, as a going concern, capable of producing ten thousand bricks per day. Bricks are of first-class quality, and the situation of the works gives a command of the whole of the North-West and West Coast markets, as Railway runs within 200 yards of the Kilns. The turn-over is large, and the above offers a splendid chance to a practical man to secure a very profitable business. The Plant consists of almost New Portable Engine, Semi-dry Machine, and Repress Machine, with Permanent kilns, Sheds, Men's Huts, and 5 acres Land. No. 2. A large and well-built HOUSE, of 16 rooms, with SHOP, doing a fair, steady trade, which could be increased by regular attention, with 15 acres Land, joining main road and Devonport Racecourse; 4-stall Stable, Cartshed, etc. No. 3. 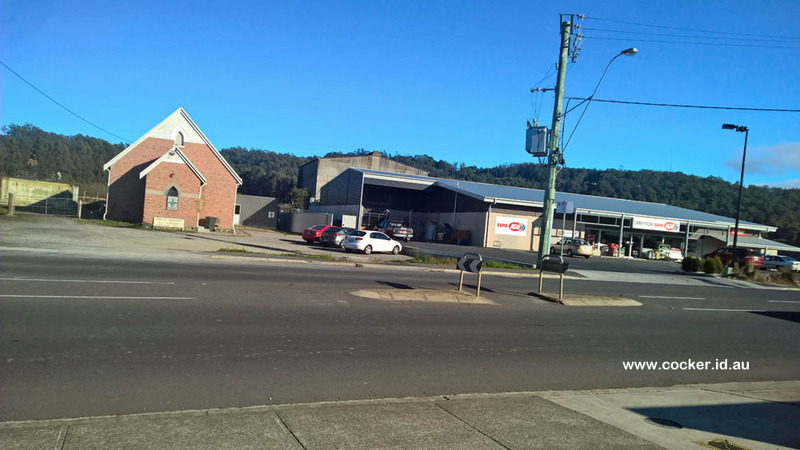 A 4½ ACRE BLOCK, opposite above, and Joining Railway line; well cleared and fenced; splendid site for manufacturing purposes, as water main runs through this block, and it fronts on Main Coast road, Devonport-road, and Railway line. No. 4. 47 ACRES BUSH LAND, Joining Nos. 1 and 2; this lies well, having easterly aspect, and with the prospects of fruit-growing offers a splendid investment for capitalist or fruit-grower, as the earlier fruits could be grown without any fear of frost. No. 5. 25 ACRES BUSH LAND, half red soil, well adapted for early potato growing; one mile from Main road. No. 6. 6 ROOM HOUSE and 21 acres LAND, at Railton. Mr. E. H. Tucker, of the Spreyton brickworks, has sold out to Mr. Graves, of St. Leonards, the transaction being, conducted through the agency of Mr. J. H. Wilson, of the local property exchange. Although the brickworks were sold to Joseph Brain Graves, the land was not. 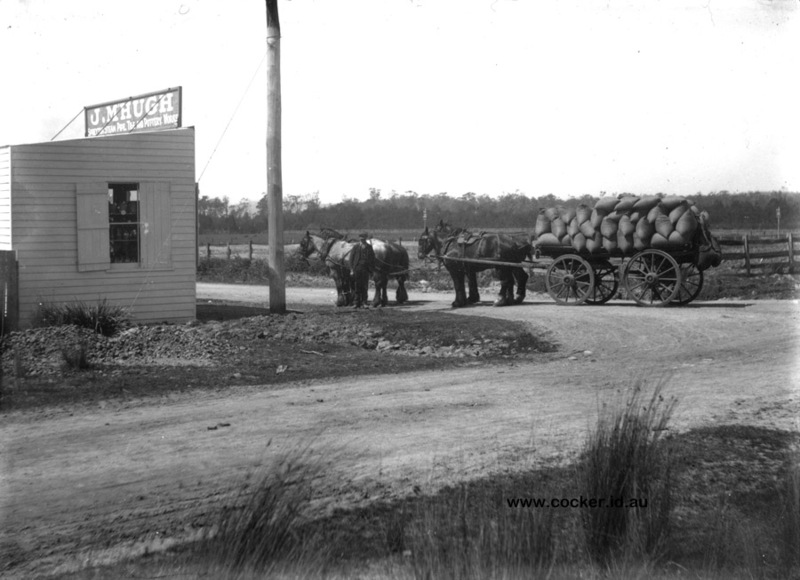 CT 11/8487 on 30 June 1908 shows the sale by Tucker of these exact parcels of land to Joseph John Byron, local farmer. CT 11/9969 on 24 Feb 1909 shows the sale by Joseph Byron of part of the land in CT11/8787 to the Baptist Union. An event of importance to the rising district of Spreyton was the dedication yesterday afternoon of the newly erected Baptist church and school. It is a neat, substantial building, with a porch, built of brick, having an inside measurement of 35 x 25 feet, and is capable of holding 180 people. It fronts the main road, almost within sight of the Spreyton railway station, and the total cost ran into £254. The outbuildings are to include a stable 20 x 10. The land has been well drained, and all roof water carried away in pipes. The front picket fence is of unique construction, as the posts are set in cement in drain pipes of shapely design, carved out and completed gratis by Mr. J. M'Hugh. The piece of land was purchased and a committee formed on March 3, by which time £13/1/ had been raised. Mr. J. B. Graves generously donated 16,000, bricks provided the building was opened free of debt, and other residents promised good help. It is not clear how long John McHugh continued to work at the brick and pipe works he started seven years earlier once Graves took over but within two years he had started building a new brick and pipe works in competition with Graves. Until 1904 the Wise Directory listed him as the manager of E H Tucker but after 1905 he was simply listed as a potter or brickmaker at Spreyton. Further signs of progress in this district are noticeable even to the most casual observer. In addition to the increasing acreage being devoted to the cultivation of apples, the social requirements of the residents are being catered for. Mr. J. E. Steward has recently purchased the residence to which is attached the room formerly used as a State school. The latter has been renovated and enlarged by the addition of 10ft. or 12ft. Mr. J. M'Hugh has put down a brick-making plant: in a new building erected near the Baptist Church, the engine is on the site, and sufficient clay excavated to make 30,000 bricks, so that the brickyard will soon be in full working order. Mr. J. M'Hugh is making good progress at his brickmaking works adjoining the Baptist Church. He has a large quantify of bricks made and stacked in rows, and will soon be forming them into a kiln. Some arguments have been raised at Mr. Grave's brick yard as to the capabilities of his work men, and in another column Mr. W. Gibson challenges anyone in the yard, more particularly a man who classed him as slow, to use the shovel against him for a day or week, for £5 or £10 aside. He then bought the land in partnership with William Austin, who, in December 1909 became his son in law. CT 12/5179 on 26 June 1911 shows the sale of the balance of the land in CT 11/8487 to John McHugh and William Austin both of Spreyton, Pipe Makers, for fifty pounds. All that piece or parcel of land situate at Spreyton aforesaid and bounded as follows that is South East by eight chains 39 links and four tenths of a link or thereabouts North Westerly along the main road from Devonport to Latrobe commencing at a point on the said road at its junction with the North Western boundary of land recently sold by the said Joseph John Byron to the Baptist Union of Tasmania and extending to a roadway known as the Tier Road thence on the North West by that road South Westerly two chains and fifty two links and three tenths of a link to the North Western railway line hence South Easterly by that railway line eight chains and thirty nine links and four tenths of a link or thereabouts to the said land owned by the said Baptist Union of Tasmania and thence along that land North Easterly two chains fifty two links and three tenths of a link or thereabouts to the point of commencement. The dimensions are 168.86 metres by 50.79 metres which equal 8576 square metres or 2.012 acres. This all the land fronting Main Road, back to the railway line from Kelcey Tier Road south to the Baptist Church, today known as from 76-94 to Lot 8. CT5180 on 26 Jun 1911 records that John McHugh and William Austin, both of Spreyton, pipe makers mortgaged the Spreyton property for £150 to William Grieve, a storekeeper of Queenstown who later (about 1919) became a part owner of McHugh Bros. in Launceston. This loan was repaid to William Grieve on 6 Dec 1911 and then John McHugh and William Austin, both of Spreyton, pipe makers mortgaged the Spreyton property for £250 to Henry Carter, Devonport. The Baptist Church today (a Scout Hall) and the new IGA supermarket built on the site of John McHugh brickworks. Some months ago Messrs. McHugh and Austin, with commendable foresight saw there was an opening for the manufacture of pottery - particularly in connection with the growth of the orcharding industry in the Mersey Valley, and the Spreyton Pottery and Pipe Works are the result. Here the latest machinery has been installed, and work is progressing satisfactorily on a splendid bed of plastic clay, free from grit, sand, and stones, and just the ingredient to produce drain pipes of a high quality. Not less than 25,000 drainpipes were ‘hacked’ in the sun to dry, showing the extent of operations. Orchardists and agriculturalists are beginning to recognise the great importance of scientific pipe drainage, and this firm finds no difficulty in getting as many local orders as they can fill. Bricks of which one was shown a fine sample – are also burnt, and find ready sale. The same firm have turned the old Spreyton Soap Factory into pottery works, where sewerage pipes and potteryware of good quality are turned out in quantity. Trade is rapidly increasing, a good sign which speaks for itself. Mr. McHugh is one of the well-known Launceston pottery firm, and has had many year’s experience in the industry both North and South. Incidentally, his opinion is that orcharding in the Mersey Valley will soon develop into a big thing, especially if people go to work on the latest scientific lines. The process of pipe-making is a very interesting one. The plastic clay comes first from the pit about a chain distant, whence it is hauled by an endless wire rope, worked by an 8 h.p. portable engine, which does all the motive work for the factory, and it is then unloaded automatically over the dump into which it falls, to feed into the pipe-making machine below of itself. In a few seconds the clay cylinder comes out of an aperture in the machine, much like an enormous hollow sausage, being regulated as to length by a wire which is pulled through the cylinder to cut it when required. The truck unloads automatically also, then runs back to the pit for a fresh supply of clay. Water is supplied from a well near at hand by pumping. When the pipes leave the machine they are ‘levelled’ by being placed in a frame and a wire run across the uneven tops. They are then ‘hacked’ in long even rows, and eventually taken to the kiln for burning, when they are ready for use. The pipes being made were 3 in. , and of a cheap quality, but larger and dearer ones are also manufactured. The now memorializing indenture recites that at the date of the indenture next hereinafter recited the said vendors were used in unencumbered fee simple in possession of the hereditaments thereby assured as tenants in common in equal shares and And recites and indenture dated the seventh and register the 23rd day of December 1911 number 12/6450 made between the vendors of the one part and Henry Carter of the other part whereby the said hereditaments were conveyed unto and and to the use of the said Henry Carter in fee simple by way of mortgage for securing the sum of £250 and interest as therein mentioned And recites that there now remains due on such mortgage the sum of £150 with interest from the seventh day of May now last past. The now memorializing indenture is a conveyance of the land and hereditaments next hereinafter described from each of them the vendors so far as relates to his own share estate or interest in the hereditaments hereby assured and as beneficial owners unto and to the use of the Purchasers in fee simple as tenants in common in equal shares subject to the said Indenture of Mortgage and all money and all interest thereby secured. And the now memorializing indenture contains a covenant by the Purchasers that they will pay all principal and interest secured by the said Indenture of Mortgage and will keep the Vendors indemnified from all claims and demands on account thereof. The effect of this transaction appears to be that of replacing William Austin by Downes Barnard as John McHugh’s business partner. John was then trading as “J. M’HUGH Spreyton Steam Pipe, Tile and Pottery Works”. Three months later Barnard purchased John’s remaining interest in the land for £100. 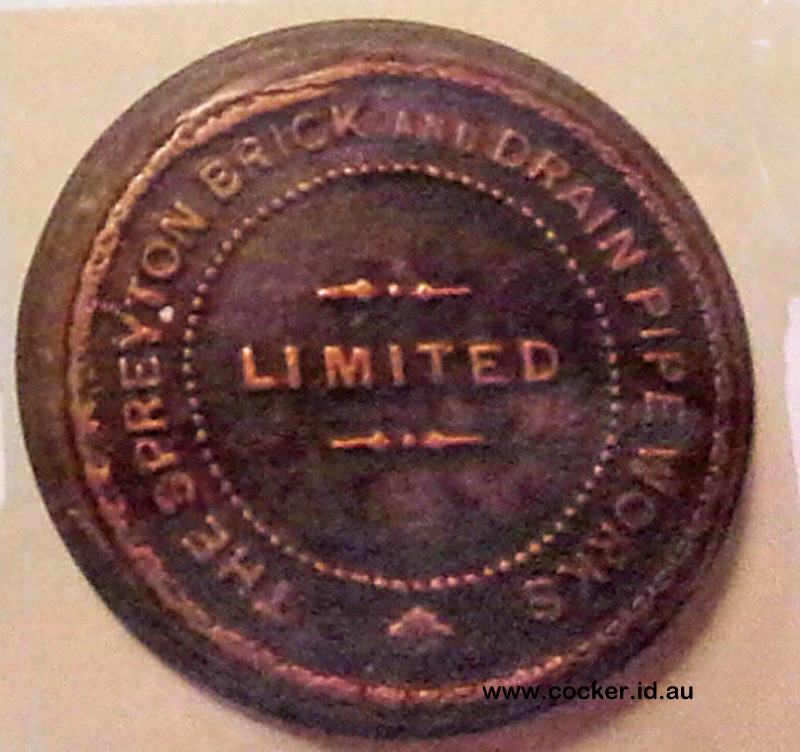 This metal stamp with The Spreyton Brick and Drain Pipe Works Limited was used by McHugh and Austin. It is embossed on the front surface which looks like copper. The rear surface has four holes for attachment. It is 50mm in diameter and about 10mm deep. It is held by, and shown here courtesy of, the Devonport Maritime Museum. 11 May 1912 BRICKMAKERS WAGES BOARD. Manufacturers of Drain Pipers 3in to 24in diameter. Chimney Pots, Flower Pots, Earthenware, Guttering, Garden Tiles etc.